'JANESSA' From the patina of the bronze porthole windows to the classic beautiful waterline profile, Janessa is a sleek and beautiful small classic yacht that is a pleasure to own and sail. Stepping aboard is like stepping back in time to an era of cigars, mini-skirts, and the E type jaguar. 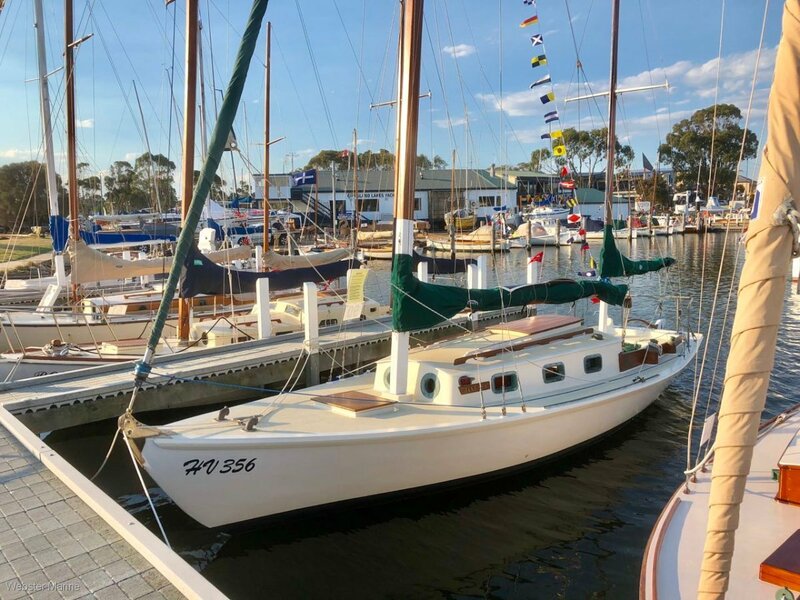 Janessa is a classic Herreschoff H28 ketch built in 1960 by the Rule Brothers in Melbourne. The hull is NZ Kauri, the cabin made from red cedar and the deck from marine ply. The masts are crafted from Oregon as well as both booms. A new original Bukh diesel provides safe and reliable auxiliary power in all conditions and she is comes with a suit of additional sails including a couple of colourful spinnakers. Janessa initially sailed from Sandringham and her early adventures were featured in 'Seacraft' magazine cruising Bass Strait. Later she sailed to the Whitsundays, then to Brisbane and spent many years exploring the Queensland coastal islands. Janessa was then brought back overland by truck to Melbourne and eventually found a new life in the Gippsland Lakes where she now resides. A much loved yacht. Janessa is dry and comfortable, very sea-worthy and sea-kindly.